An 82-year-old Argentine woman who attracted media attention last month when she married a 24-year-old man has died as a result of heart problems. She died in a sanatorium in Santa Fe, the city where the couple were married. Ms Volpes had rejected criticism over the age difference with the groom, who is the son of one of her best friends. "I don't want to resign myself to the idea that I lost her," a disconsolate Mr Waveqche told EFE news agency. The couple were married on 28 September in a civil service after several years of engagement, and later walked through a local church surrounded by reporters. Their love is said to have blossomed when Mr Waveqche went to live with his future bride after his mother's death, when he was 15. Lost actor Daniel Dae Kim has said he is "deeply ashamed and embarrassed" about his arrest on suspicion of drink-driving in Hawaii. "It saddens me to know that I jeopardised the welfare of the kind people of Hawaii, a community that I love and call my home," he said. Kim, 39, who plays tough guy Jin-Soo Kwon in the drama, added that he would fully co-operate with police. He was released on bail after being stopped by police early on Thursday. Police said the actor had been driving erratically and was found to have a blood-alcohol level that measured twice the legal limit. "To my friends, family, colleagues and fans, thank you for your kind words of support," said Kim. "To those I have disappointed I can only ask that you accept my heartfelt apologies. I am truly, truly sorry." The South Korean-born actor will appear in court on 23 November. 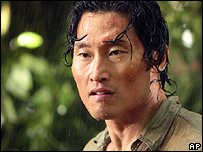 Kim - an original cast member - is the fourth Lost actor to be arrested for a traffic offence in Hawaii, where the popular TV series is filmed. In 2005, former co-stars Michelle Rodriguez and Cynthia Watros pleaded guilty to driving while over the legal limit. Rodriguez, who played Ana Lucia, was sentenced to five days in jail and $357 (£174) in fines. Watros, seen on the show as the character Libby, had her driving licence suspended for 90 days and paid a $312 (£152) fine. And last year, Adewale Akinnuoye-Agbaje, known as Mr Eko in Lost, was arrested for a traffic offence, and was accused of disobeying a police officer and driving without a licence. The charges against him were later dropped, however.